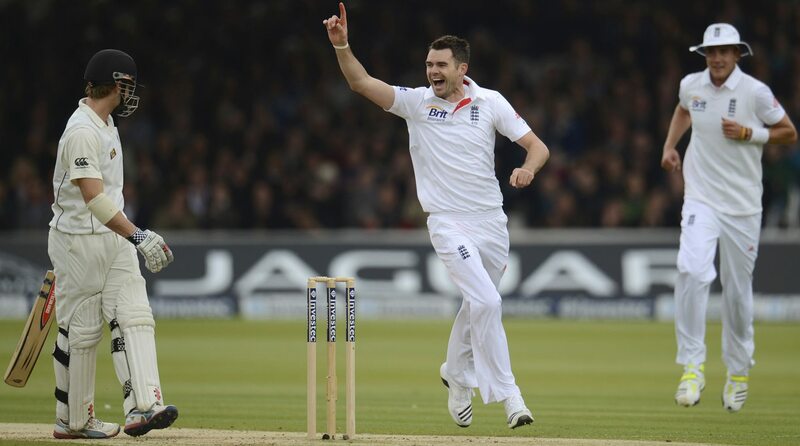 James Anderson became the fourth English bowler to take 300 wickets over the weekend. He’s not the most intimidating, and it took him until 2010 to figure out how to exploit all kinds of conditions, but Anderson is a crucial cog in England’s wheel. By ANT SIMS. Modest it may be, but it’s also true. England’s James Anderson has become the fourth English bowler to cross the 300-wickets mark in Test cricket. It took him 10 years and over 80 Tests, but he’s finally there. He’s the 26th player overall to do so, but Anderson wasn’t always quite so prolific. It’s only since 2010 that the English King of Swing has managed to really master his craft. It’s taken him ten years and 81 Tests, but Anderson has improved exponentially since making his debut, a Test in which he bagged five wickets. The year in which he made his debut was a convincing one for the Lancastrian. He took 26 wickets in eight matches, but the media weren’t quite convinced. As a youngster, Anderson had much to prove. He was good in English conditions, but his first Test away from home was fruitless. On the unforgiving subcontinent, Anderson conceded 85 runs in Colombo for not a single wicket in return. His second trip away from home was similar; in the West Indies, he managed just three wickets in two Tests. In fact, the first four years of his career were unproductive for Anderson. In 20 Tests, he managed 62 wickets at an average of 39.20. His record at home was still fairly decent, but his figures away from home were rather unconvincing. Before 2010, he averaged 43.84 in away Tests, which has now dropped to 28.17. That statistical improvement is just one of the many things which helped Anderson become one of the most reliable bowlers in the world. He’s England’s leader and gets to bowl according to his terms. When at Lord’s he gets to choose his ends: the Pavilion End with the new ball and the Nursery End with the old ball. At the start of his career, he donned the kind of immature hair style which made him easy to pick on. With a blotch of red perched on his head, just like one of his favourite Arsenal men, Fred Ljungberg, Anderson was an easy target. Back in his early days, an English writer said that if Anderson wanted to make his hair look like a peacock, he would almost certainly bowl like a peacock. Much has changed for Anderson since the days of eccentric haircuts. At the moment, he is one of the most skilful bowlers in world cricket. He has progressed from just “focusing on his processes” to focusing on thinking batsmen out. For his skill, he doesn’t need extreme pace. He might still come across as boring these days, but perhaps he doesn’t need the swagger or the crazy eyes: perhaps he doesn’t need to mad hair and snarling ferocity. The anecdote remembered by the press at this time is one of Fred Trueman, the first to manage 300 wickets. An eccentric who loved a pint, Trueman said that anyone else who took 300 wickets would end up being “bloody knackered”. At the end of the first Test between England and New Zealand at Lord’s, however, Anderson looked everything but finished. Rather, he looked like the spearhead of the attack. He almost certainly has a few years left in him, and while he’s by no means one to go gunning for record, Ian Botha’s record of being England’s highest wicket-taker will almost certainly be in his sights. “I don’t see why not,” 30-year-old Anderson replied when asked if he could beat Botha’s record. “I’m not too old. I’ve a few more left yet. But I don’t want to think about it. I’ll just try to stay fit. He finished the Test with seven wickets, and while he was overshadowed by Stuart Broad in the second innings, his role in the first was pivotal. He dismantled the New Zealand top order and engineered the dismissal of key-man Ross Taylor.